While working in Oregon staying in Bend I found a great beer I liked one day while out shopping at a local grocery store. 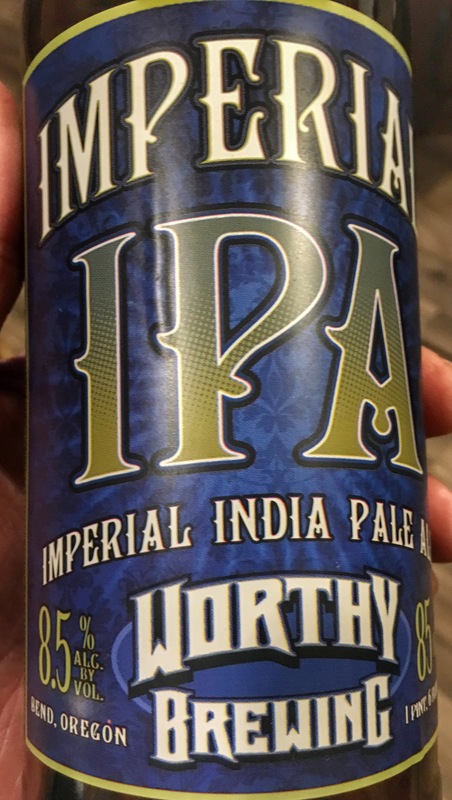 This beer is an Imperial Indian Pale Ale made by Worthy Brewing in Bend Oregon. Hop lovers rejoice. We use 8 Oregon-grown hop varieties in this big bold balanced beer. At 8.5 ABV and 85 IBU’s this is one very well rounded great tasting beer. In fact it tastes so good you’ll want lots but watch out because that 8.5% will sneak up on you. Highly recommend this beer, two thumbs up!